Charter boat from Vinalhaven Maine, With John Drury. 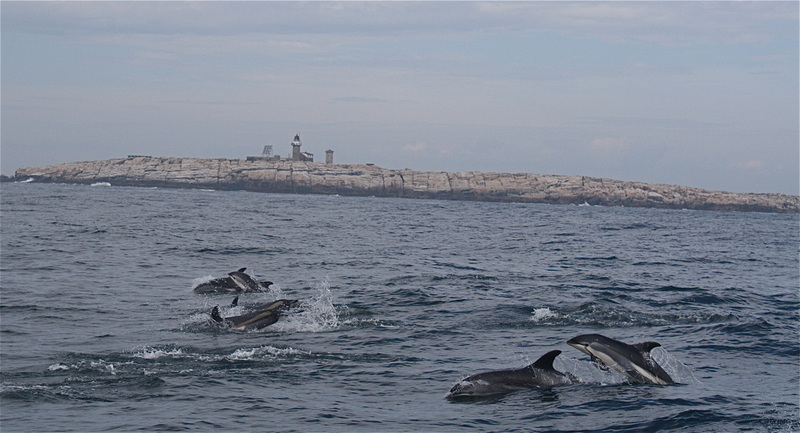 Come to Vinalhaven and go for a boat ride to see some of the adjacent islands and the wildlife there, these are some rare habitats and Vinalhaven has good access to them. 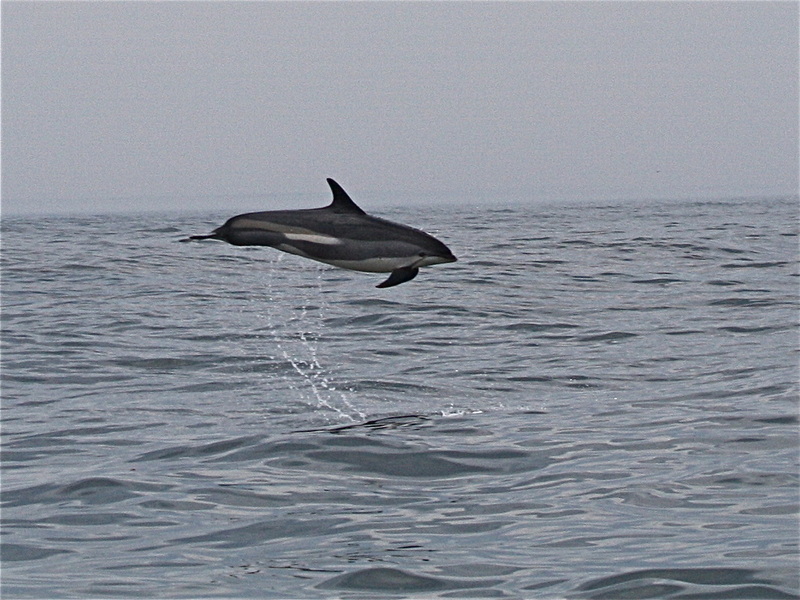 I take folk out on a comfortable 36' lobster boat "Skua". I can carry six passengers and one crew. 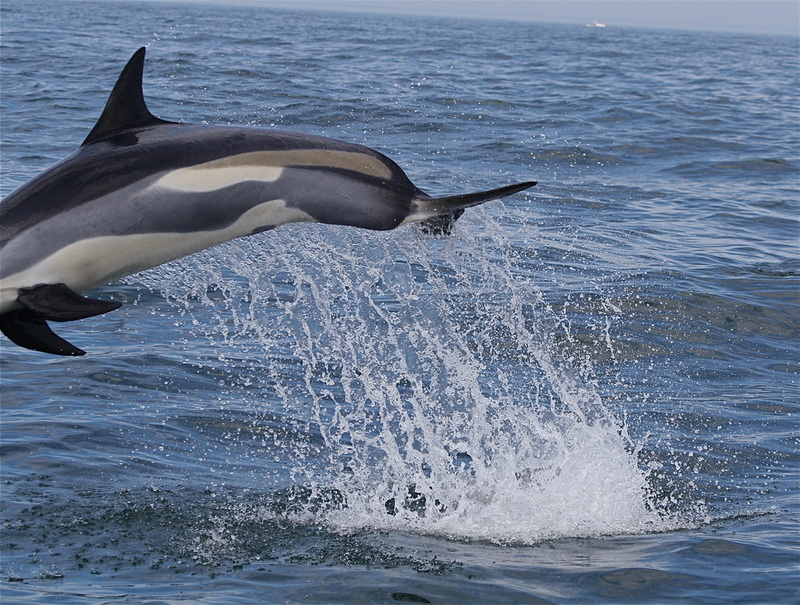 Seal Island National Wildlife Refuge is about an hour away and there is a lot to see there. If you are more interested in riding around Vinalhaven or Isle au Haut, Lighthouses, or something else we can customize a trip to suit your interests. SKUA 36' 1973 Jarvis Newman built in South West Harbor, and glass Nova Scotia dory from Wedgeport, Vinalhaven beyond. 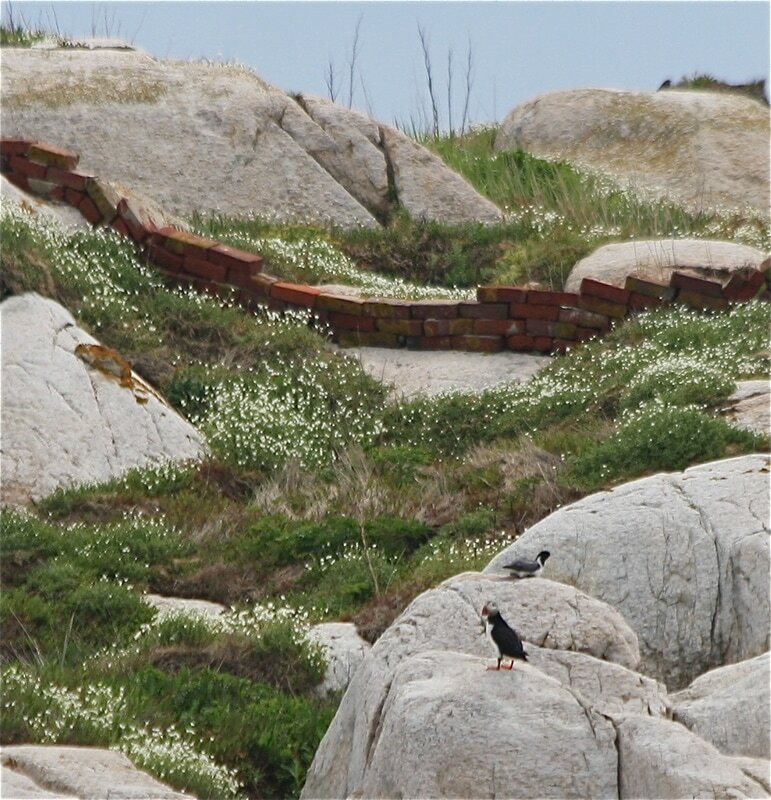 Puffins and a Black Guillemot, we do often see 4 species of alcid on a trip to Seal Island. 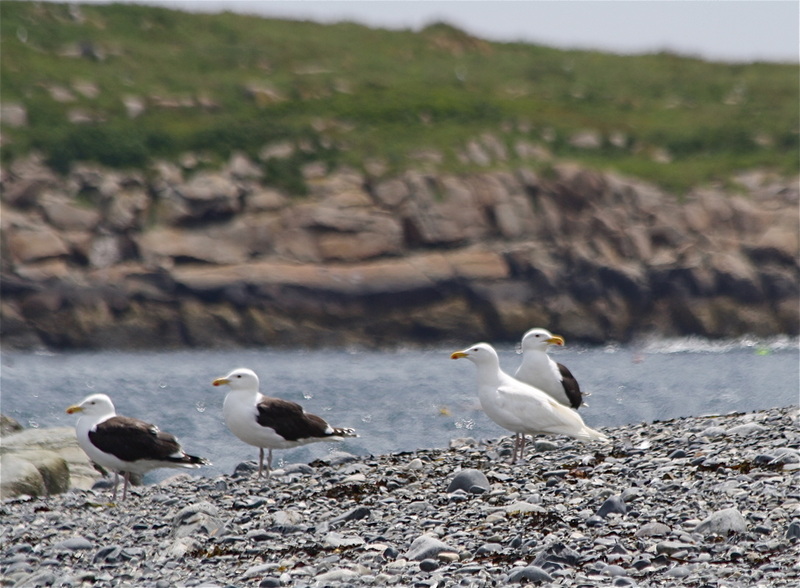 Nine miles from Vinalhaven, Vinalhaven Seal Island is a great place to see, there are lots of birds there. Razorbills along the shore of Seal Island, more and more down there each year the regional population has expanded greatly in recent decades. 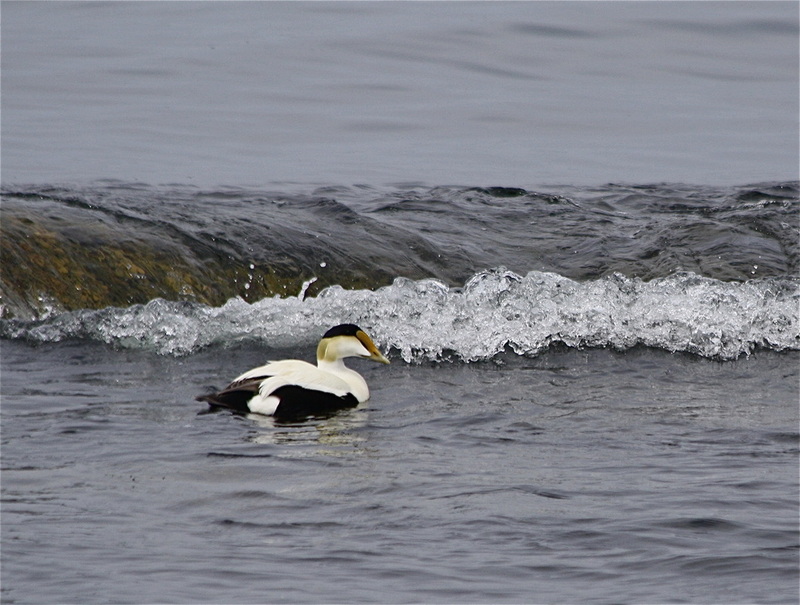 Razorbill and Murre. 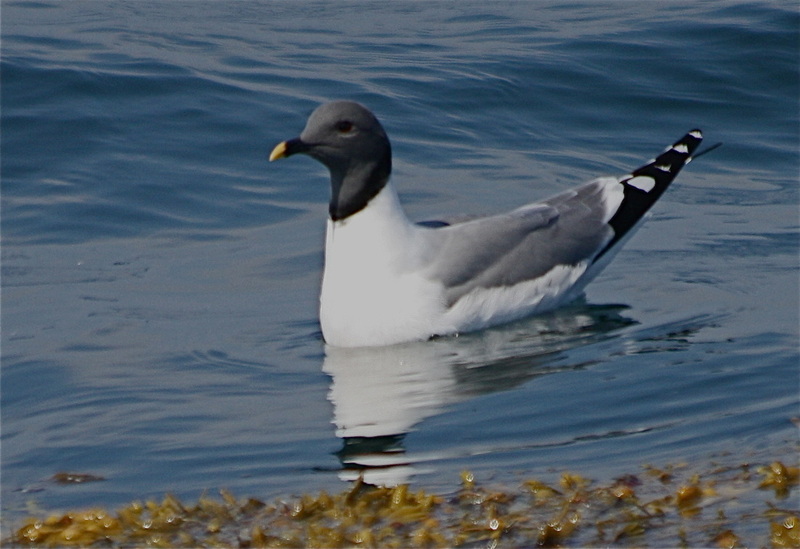 Like Puffins and Razorbills the regional Murre population has grown dramatically during the last decades, These alcids, a family of birds rare on the east coast outside Maine, have been swelling back into the region. The View NNE from Seal Island Isle Au Haut and Mount Desert beyond. When we get to Seal Island there is a lot to see. Seal Island south east shore, looking east. Arctic tern, there were estimated to be 850 pairs Breeding on Seal Island in '14, 1,400 pairs of Common terns as well, a good chance to see the two species close together. Young Bald eagle threatens last great Cormorant chicks on Little Roberts Island July 19 '13, they were gone the next day, note adjacent empty nests. 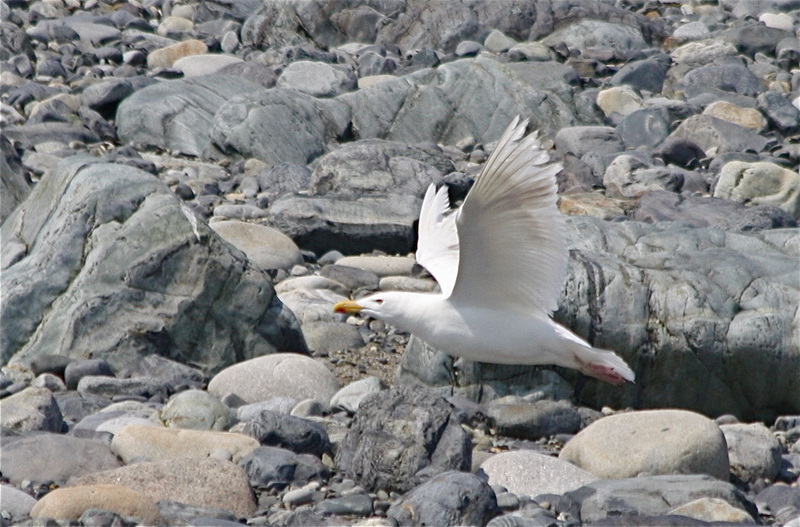 As luck would have it there has been a Red-billed tropic bird who has established residence on Seal Island during late spring and summer for several years, quite a striking bird, a long way from the middle latitudes that this species and its close allies usually sail, and are named for. This individual has learned to persist here, though the tail seems a bit frivolous and unlikely for a bird from this climate. last seen about August 20. 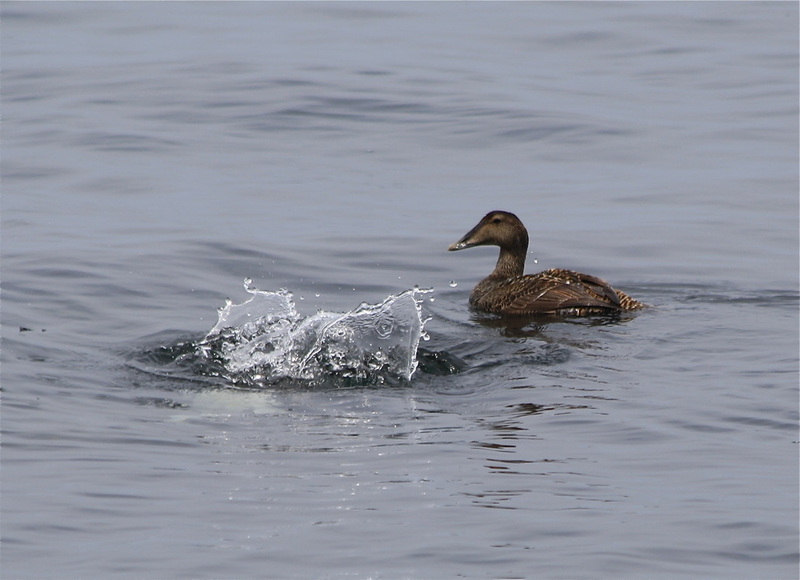 We saw an Ancient Murrelet at Seal Island May 13, 2016, this is a wee pacific alcid most of whom nest in the Aleutian Islands I have read, a charming little fowl, it looks like an earnest aquatic quail. It was seen last Sunday May 21, 2017 at Machias Seal Island 120 miles east of here. ,I saw this Ancient murrelet last year at Seal Island, and again yesterday May 24 2017 at Matinicus Rock, what a lovely little fowl it is. This little murrelet flew ashore for a spell at a couple of different places . 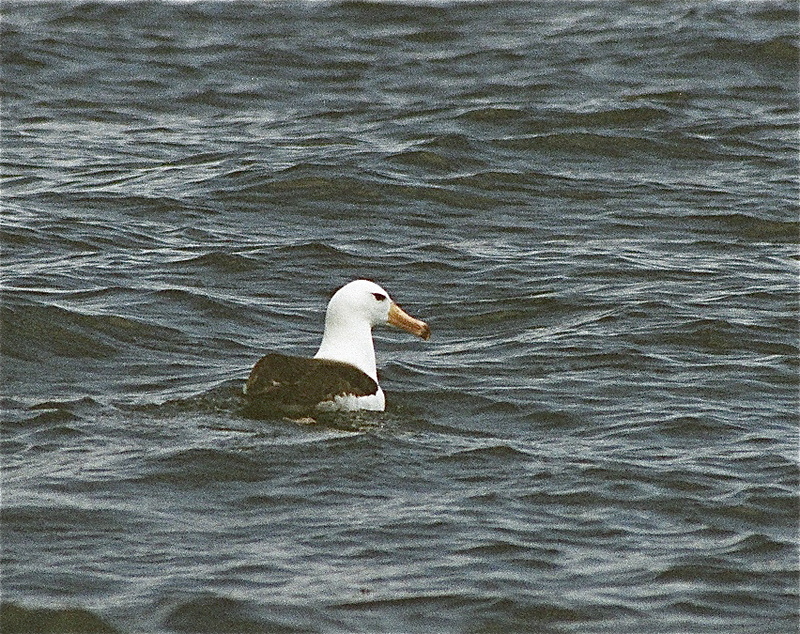 Speaking of Unlikely, as it happens there has been an amazing unanticipated expansion of Manx shearwaters into our region as a breeding bird, it is a fairly long and interesting story, above you can see one, perhaps the founder of the colony at Matinucus Rock, roosting with laughing gulls as he has from the start, in '97, such a lovely bird. On a calm evening when several together are skating low over the water as the sun sets their elegance is nourishing. Grey Seals hauled out on the southwest breaker, below the cormorant colony on the Western head of Seal Island, they pup on the Island during winter thus the name. 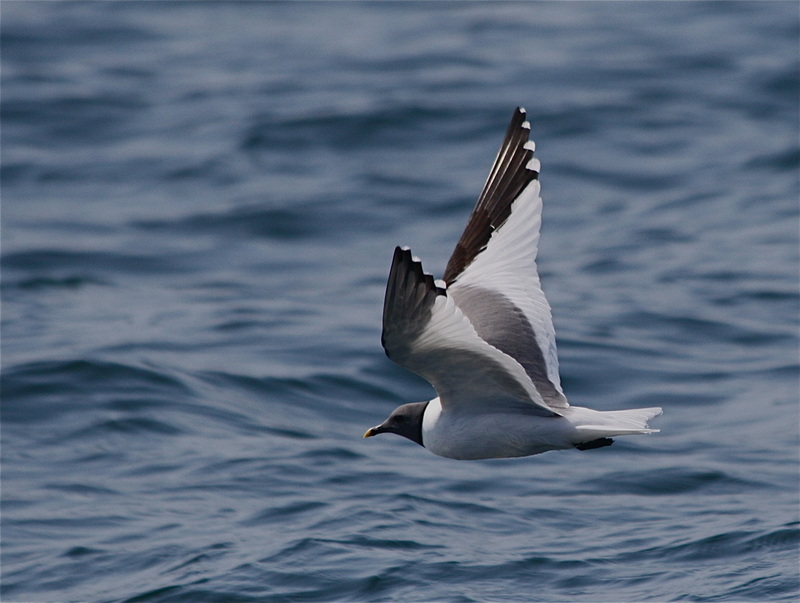 This is a Leach's petrel, they are rarely seen in the bay though then breed on many of the Islands here, they come and go at night, this one was 20 miles offshore, they are longer winged and have a bouyant wingbeat deeper than the Wilson's, slightly forked tail, the toes stick out beyond the end of the tail on the Wilson's. 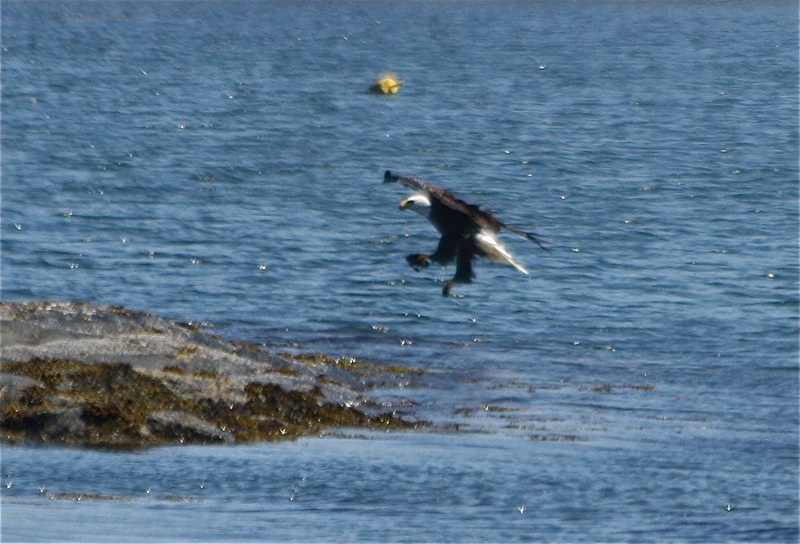 There are lots of Eagles on the Islands, Gulls and Eiders and Cormorants have been important resources for theses eagles. In recent years we have been seeing Jaegars consistently out there, here a young parasitic jaegar, (aka felonious skua), attempts herring swipe from a common tern. 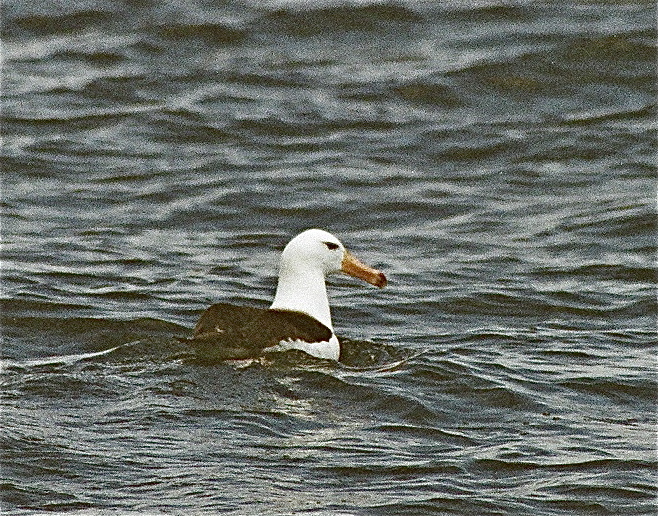 Not many Albatross get North of the equator in the Atlantic, it was @100 yards off our port beam and looked like a black-backed gull, I might have gone right by it if it had been a little further off. Makes me wonder about all the rare birds who have seen me but that I missed. Bald eagle, eider duckling in toe. Greater Shearwater, they have been rather scarce in the bay these last summers of great weather. 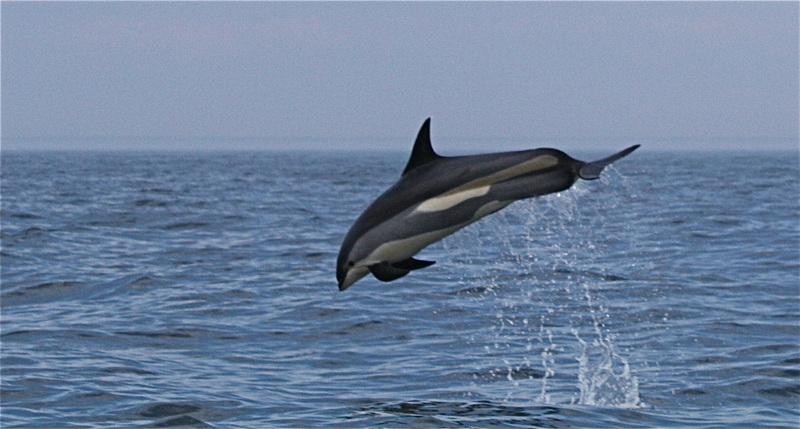 They are more likely in the bay after SE winds, if you go a few miles beyond Seal Island they are usually out there. 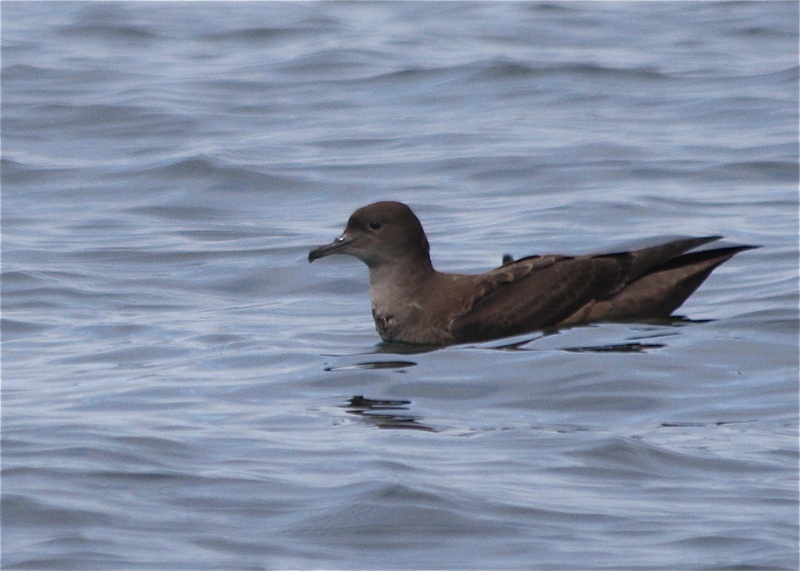 Sooty shearwater, they glide low over the water with stiff shallow wingbeats, surfing along the wind. Leucism, rather than albinism, a striking bird either way.